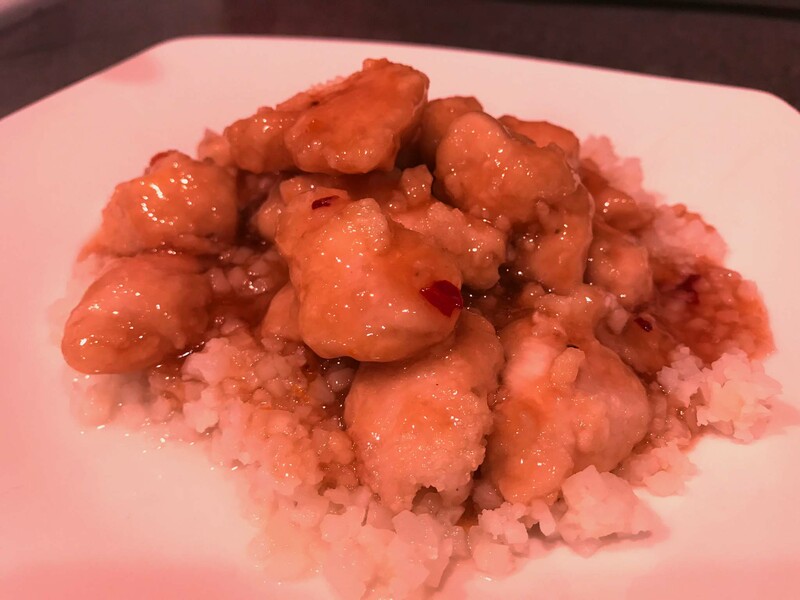 The sauce for this recipe is a Keto copycat version of the orange chicken at Panda Express. It has the ingredients of the fast food chain’s recipe, yet with the healthy alternatives to their flour, soy and sugars food components. 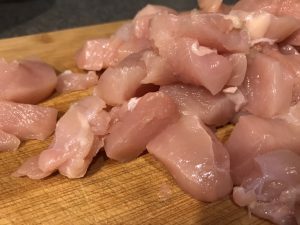 Start with cutting the chicken into bite-size cubes. 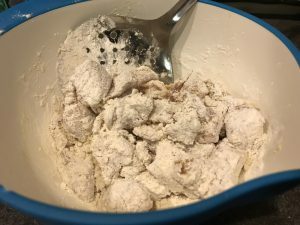 In two separate bowls, combine the egg mixture in one and the flour mixture in the other. Coat the chicken in the egg mixture, then in the flour mixture. 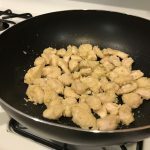 Fry the chicken in a large skillet or wok until crisp and golden. Drain most of the oil, leaving a small amount. Add the garlic and crushed red peppers and stir for about 10 seconds. Then add the sauce. Bring this to a boil and it’s ready to serve! 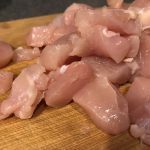 Cut chicken up into bite sized cubes. 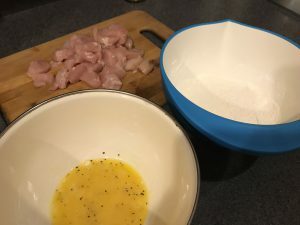 For coating the chicken, add egg, salt, pepper and oil into a large bowl. Whisk together. In a separate bowl. add xanthum gum and flour and mix. For the sauce. 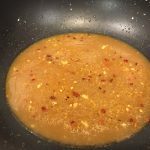 combine xanthum gum, white wine, sesame oil, coconut aminos. sweetener, white vinegar and orange zest. 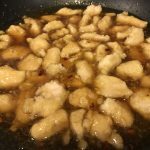 In a large skillet or wok, heat 2 TB oil. 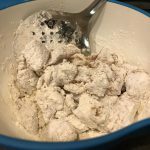 Dip chicken pieces into the egg mixture, then in the flour mixture. 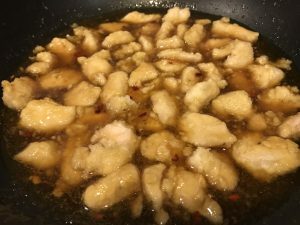 Fry the chicken for 3-4 minutes until golden and crisp. Drain most of the oil from the pan, leaving a small amount. Add garlic and crushed red peppers and cook for about 10 seconds. Add the orange sauce and bring to a boil. 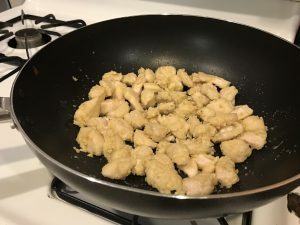 Turn off heat and add the cooked chicken. 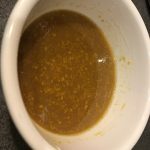 Stir until well mixed. 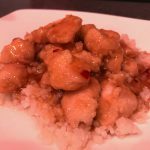 Serve over cauli rice. For the flour mixture, you can omit the xanthum gum and use more flour if desire.